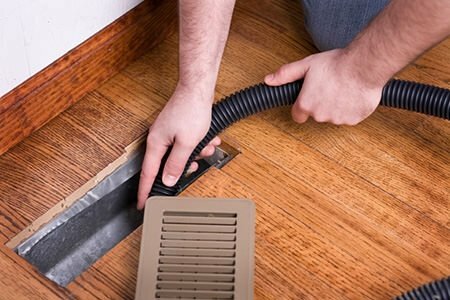 Duct Cleaning Toronto | Air Duct Cleaning Services | Delicatus Inc. Since centuries humans are striving to maintain a clean and healthy life style. Clean water and clean air plays an important role to achieve a healthy life for our families. We have been focusing in this direction.. There are estimated 25,000 dryer vent fires every year started by clothes dryers. How can you protect your family and your home? Cleaning the lint trap is only the start. Delicatus Home Services is NADCA certified company was started with a vision to provide clean air and excellent indoor environment to every individual home owner. We have grown with a motto of “Clean and Healthy life”. We at Delicatus Home Services put our customers at the highest priority to give them best possible services at reasonable costs. We are the fastest growing company in Ontario region for Air Duct cleaning. We use state- of-the-art technology that’s truck mounted and truck powered. 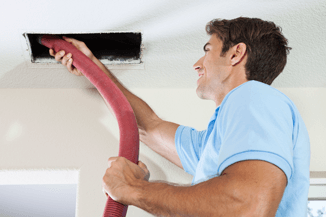 Delicatus Home Services provides its clients with professional air duct cleaning services. The company focuses on duct cleaning in Toronto for residential, commercial and industrial locations. We are one of Toronto’s most popular HVAC system cleaners and vent cleaning experts. For years, Delicatus has been offering outstanding customer care and service to homeowners and business owners in Toronto and its surrounding neighborhoods. We have a team of capable and skillful duct cleaning specialists in Toronto that is always ready to deliver its quick, professional services to whoever needs it. Delicatus’ Air Duct Cleaning Toronto Services are available at affordable prices. As a brand, we are committed to offering our clientele the best quality of Duct Cleaning in Toronto. Our team is well-known for its ace services in the industry. We are members of NADCA and every member of our service and management team is certified by NADCA as well as ASCS’s and VSMR’s ready, which means they are skilled technicians to ready to assist you with your HVAC reparation requirements. If you are looking out for duct cleaning professionals and decide to choose Delicatus for your required services, you have made the right choice for your duct cleaning needs. 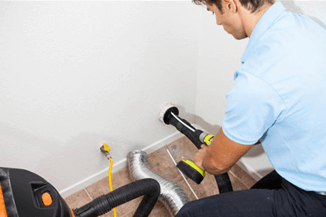 Homeowners and business owners are most concerned about dust when they to opt for a professional air duct cleaning service. It is important for property owners to know that time to time cleaning of the air ducts can offer other advantages too. Lessen the need to do dusting: Air duct cleaning can assist in helping to lessen dust in the indoor spaces by removing it from where it travels. Clean air ducts result in hygienic registers, fresh drapes, clean walls, clean rugs, and clean air. Better the quality of air indoors: In today’s day and age, clean air is one of the most important requirements, whether inside or outside. Bearing in mind that generally, individuals spend 90% of their time indoors, an easy and effectual way to watch out for your family’s health is by filtering and improving the air surrounding you that you breathe. Air duct cleaning usually helps in assuaging allergy & asthma symptoms. Helps conserve energy and save money: Pollutants in the cooling and heating system usually result in the system to work harder than normal. Once you get an air duct cleaning done, the system will not have to work too hard to keep up with the preferred temperature. Thus, it will wind up using lesser energy. Prolonged lifespan of the equipment: If you are able to maintain and keep your furnace in topmost functioning order, you will be able to eliminate bigger costly repairs and other unexpected collapses. By doing this, you will be able to extend the life of the equipment. Furnace Cleaning In order for your home to be spick and span, one must be thorough with all the related details, which means you need to make sure your home furnace is also clean just like the rest of your property. You can without a doubt rely on Delicatus Home Services to have your air ducts completely free of possibly hazardous developed pollutants. Feel free to rely on us for all your furnace cleaning requirements as well. Our team of experts offers fine-quality furnace cleaning services. Most of us fail to realize that furnace cleaning is a crucial share of maintaining your home properly. In fact, you should try and have your home furnace cleaned up regularly just so it continues to work properly, and you can enjoy better air quality. Remember that your furnace and air ducts are connected. So if your furnace is filled with dirt, dust, and other pollutants, your air ducts are too. Dryer duct cleaning Dryer duct cleaning can help you get rid of fire hazards. Most of us are unaware of the potential risks related to a plugged dryer duct. If your dryer duct is constrained, the flow of air also gets restricted making the dryer hotter with a certain scope of the likelihood of overheating the dryer. Lint backlogs are highly combustible when around the electrical gears and warming element, which in turn intensifies the dangers and chance of an internal clothes dryer fire. A regular Delicatus cleaning of an exhaust fan and dryer duct is the best way to considerably decrease this probable fire hazard. We have been offering dryer duct cleaning services to homeowners and property managers for years now. Our solid experience, high-tech equipment and immense knowledge about these services make us the right choice for all dryer duct cleaning requirements.